This Quality Victorian Walnut Arts & Crafts Antique Side Writing Table dates from ca. 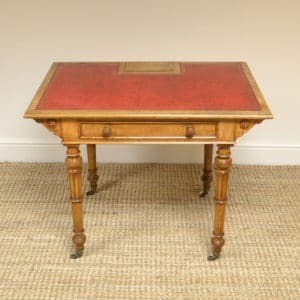 1880 and has a beautifully figured top, with moulded edges, canted corners and full of wonderful charm and character. 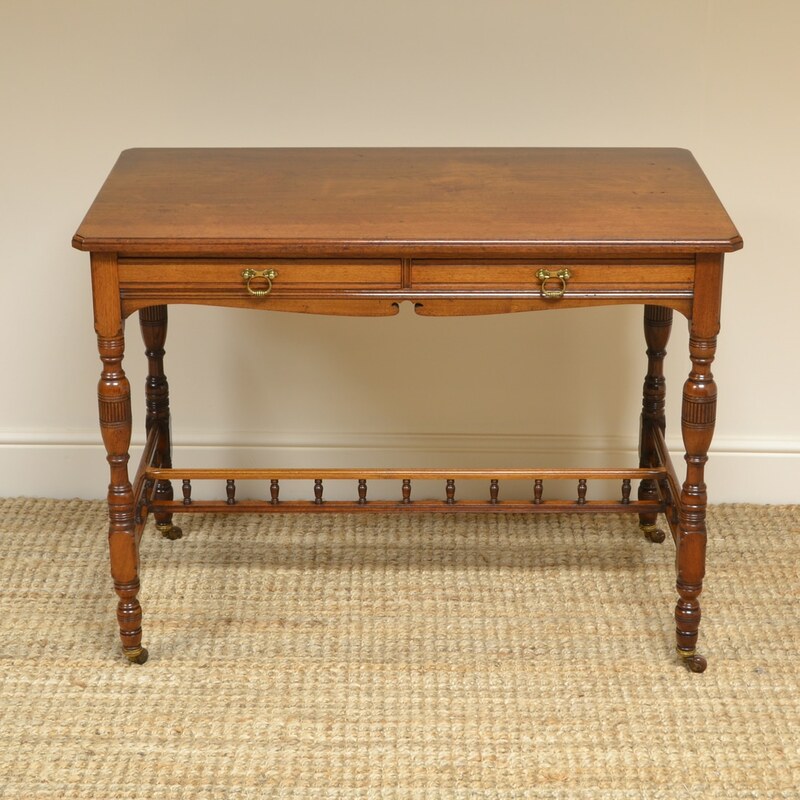 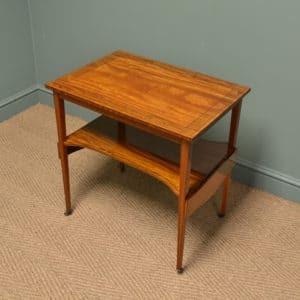 This Quality Victorian Walnut Arts & Crafts Antique Side Table / Writing Table dates from ca. 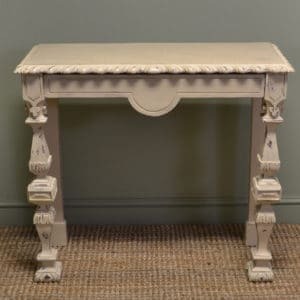 1880 and has a beautifully figured top, with moulded edges, canted corners and full of wonderful charm and character. 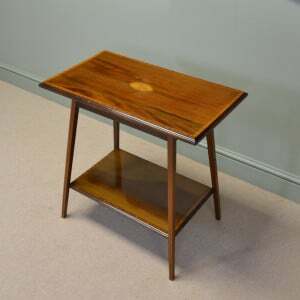 It has two slim walnut lined drawers with original brass handles and the piece stands on four beautifully turned legs with castors. 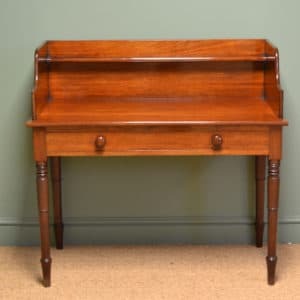 It has a very unusual turned gallery rail and has aged to a medium warm walnut shade with a striking grain, good patina, is in very good condition and has been beautifully cleaned using a traditional form of wax finishing.